Nintendo Switch Online launches on 19 September, and in the past few days, we’ve learned a bit about the new features coming as part of the service and how they will affect the games involved. Switch Online is Nintendo’s version of Xbox Live and PlayStation Plus, and like both of those services, it costs money: £18 a year, or £3.49 if paid per month. 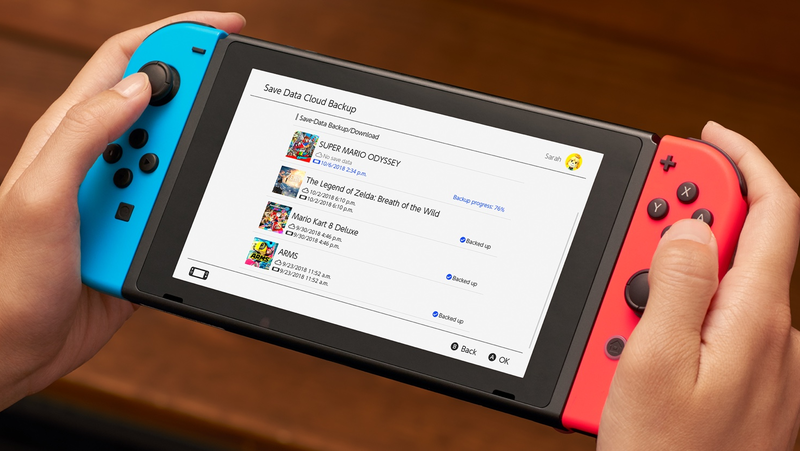 Also, you’ll need it to play most Switch games online, as well as get access to other benefits, like the ability to backup your save files in the cloud as well as play classic NES games with modern online features. This is Nintendo, though, so while the service sounds similar to Xbox and PlayStation’s existing ones, there are some other hitches involved here—some good, some not so good. You won’t need Switch Online to play Fortnite. The most popular game in the world right now is exempt from Nintendo’s new online programme according to an FAQ on the company’s support website. If Fortnite is all you play online on Switch, you might not need the online subscription. Tencent has also confirmed that Arena of Valor, a free-to-play MOBA that is currently in beta on Switch, won’t require a membership to play online either. The service is free to start. When Switch Online launches, it will have the option for a seven day free trial. You can use gold points to pay for the subscription. Every time you buy a Switch game, you get gold points: five per pound for digital purchases. Nintendo has confirmed that those gold coins, worth £0.01 each, can be used to pay for Switch Online. 1,800 coins would pay for the annual £18 price, which is the equivalent of £360 in digital purchases. It’s not the same as free, but it’s still a nice perk, especially for people who already buy a couple of small downloadable games a month and have the coins saved up. Cloud save backups will eventually disappear if your subscription lapses. Switch Online will automatically backup your save files for most games (notable exceptions include Splatoon 2 and Dark Souls Remastered). That’s only in effect while you’re subscribed, though. If you drop out of the programme, those backups are no longer guaranteed. This isn’t surprising, but it is unfortunate, since the Switch doesn’t let you backup your save files yourself. For comparison, the PS4 keeps cloud saves for up to six months after a PS Plus subscription expires, and Xbox doesn’t require a paid subscription for the feature at all. The NES games that come with Switch Online can be played offline for up to seven days. 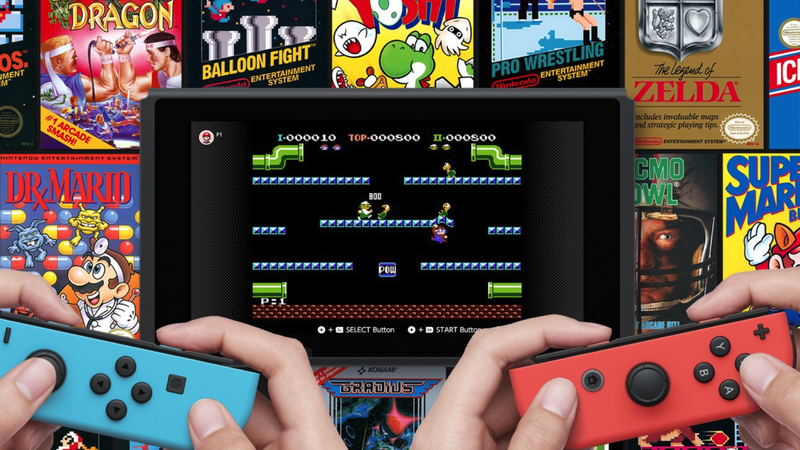 Switch Online launches with 20 classic NES games which can be downloaded and played through a single app. Others will get added to the lineup in the coming months. This library of games is stored locally and can be played offline, but you’ll need to connect your Switch to the internet at least once a week in order to access them. The NES classics will have HD resolution, save states, visual filters, and a cursor that can be controlled by another player. The UK and Australia Nintendo websites mention “HD resolution, filters and special save states” as new “enhancements,” with no further details. Nintendo of America has also provided a screenshot of what the second player’s cursor will look like with a clue to how it’ll function. 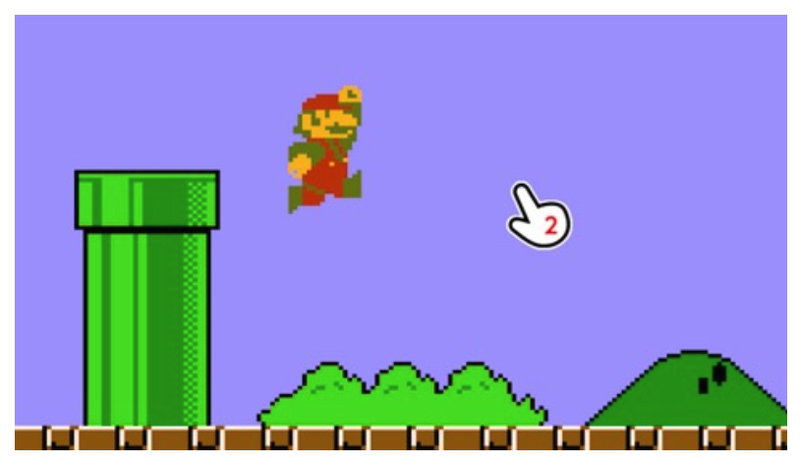 Basically, you can play a game like Super Mario Bros. with a second person who, when they aren’t playing, can move a hand-shaped cursor around to “applaud” you for being awesome and also point out (literally) all of the secret blocks and warp locations. More games will be compatible with the voice chat app. Nintendo’s solution to the Switch’s lack of a dedicated mic was to create a smartphone app so you can connect and talk with the people you’re playing with. If that wasn’t absurd enough, the only game that’s been able to use the app for the last year has been Splatoon 2. That’s about to change. Early patch notes for Mario Tennis Aces show the game will be compatible with the voice chat app starting 19 September, and the NES games coming with Switch Online will also be able to utilise it. Nintendo has confirmed support will eventually be added to Mario Kart 8 Deluxe and Arms as well, but did not specify when or whether support will also come to third-party games. We’ll know a lot more when Switch Online finally launches on Wednesday.